The CORRO-PROTEC powered titanium anode rod is a long-term protection solution compared to the existing sacrificial anode on the market. 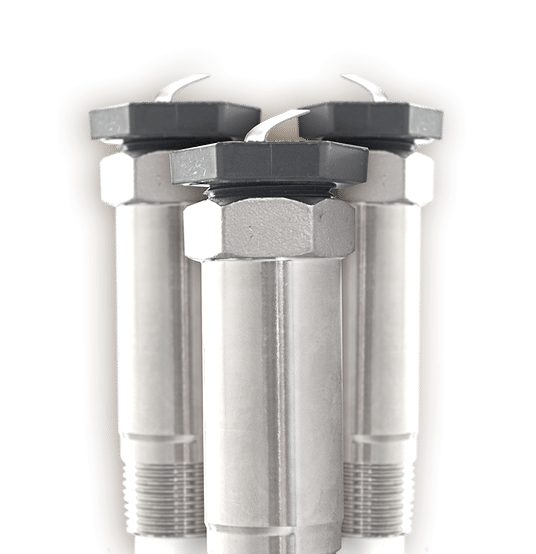 As the sacrificial anode already in place in the water heater undergoes a high transfer of electrons in case of aggressive water, the life of the hot water tank can be affected. By forming a protection layer on the tank walls and its weak points, the CORRO-PROTEC provides the water heater with a permanent protection against corrosion, regardless of the water hardness. The energy projected by the Corro-Protec forms a protective layer on the walls and the weak points of the tank, which has the effect of providing the tank with a permanent protection against corrosion. CORRO-PROTEC’s special titanium rod corrects odor problems (smell of sulfur / rotten egg) that are found in hot water with a high magnesium content. Scaling inside the tank prevents the elements from being effective and the water heater needs more energy to function properly. By reducing the accumulation of material on the elements and walls of the tank, the energy efficiency is then preserved in the long term. The current imposed by the Corro-Protec reduces the accumulation of limescale inside the tank, which reduces the risk of breakage and premature wear of the water heater. The CORRO-PROTEC automatically adapts to the type of water present in your tank in order to offer you optimal protection. Our researcher's know-how has led to the creation of revolutionary products that completely change the way hot water tanks are viewed. Although the technology has already existed for several decades in the industrial sector, we have been testing CORRO-PROTEC in the laboratory for more than 12 years in order to offer you effective and safe products. Replace the original anode of your water heater by the CORRO-PROTEC, then connect the current rectifier.